It's been so long since I've written a life update so I thought today would be a good time to post one. Not a lot has happened but I still think it's nice to know what's been going on etc. I'm still unemployed sometimes it bugs me but other times I'm not too worried. I still have no idea what I want to do. I'm sure I'm not the only one! though I do feel behind sometimes at 27. I'm still looking online but I don't want to work in a shop so I'm kinda stuck. My jobcentre advisor suggested I do a college course and then suggested something else but I' still waiting on that. I did ask but nothing has happened. I do feel behind on things such as finding a job, moving out getting married etc like am I ever going to find anyone? am I ever going to find my dream job? whatever that is!. I think my blog is going ok and I still enjoy posting and sharing things but I'm not worrying about numbers because there's really no point! I do have those days where I feel like deleting my blog. Then I think no I will not delete it I will carry on because I like doing this regardless of how big my following is. 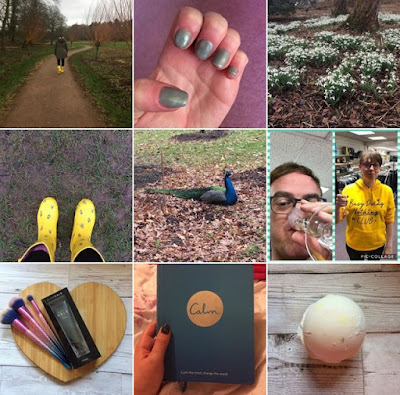 I don't know the people who follow me and I've not made blogging friends from this but I still like sharing and being creative. My Sister Is Moving Out! Ok there is one good thing my sister is moving out! it happened pretty quick (I wasn't expecting it!) but it's a good thing because I know she has wanted to move out for ages. So I'll have my own room which I can decorate! it does seem weird that I'll have my own room at 27 when most people have had one all there life. Thanks for reading and I'll be back soon! 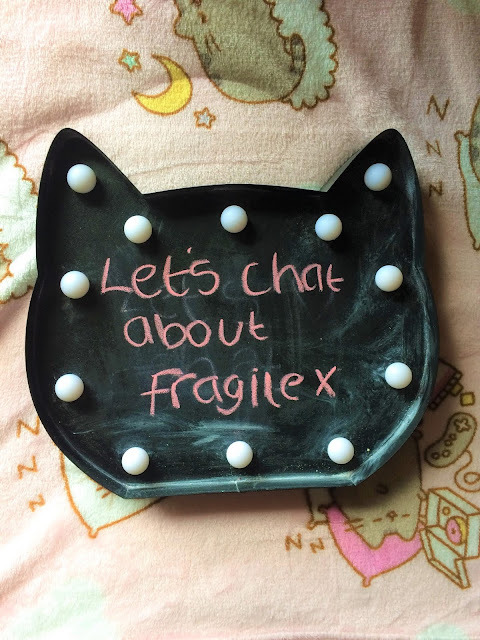 I've written many posts on Fragile X but I thought I would share how being social and making friends is hard for me. I struggle with being social so making friends online and offline is difficult for me and sometimes wish I had some friends but I find it hard. I started blogging in 2015 and I've not made any friends from it because I'm shy even online. I find it hard to interact with people, so I don't really comment on blog posts because I don't know what to say. 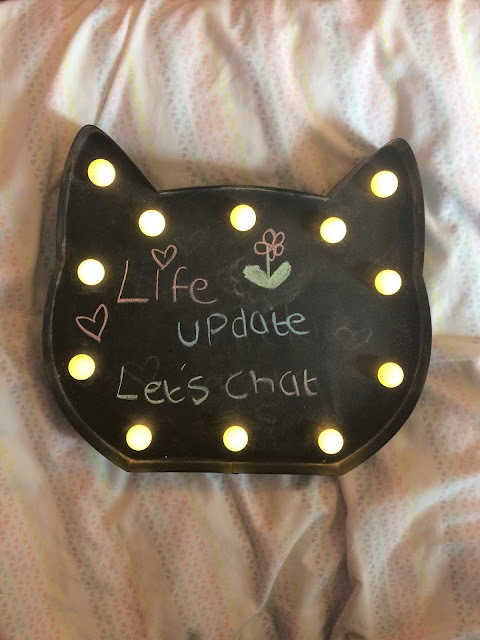 As I've got back into writing my lets chat series I decided to write about Fragile x, I have posted many posts before so be sure to check them out. Anyway on with today's post I hope you like it and this little series. 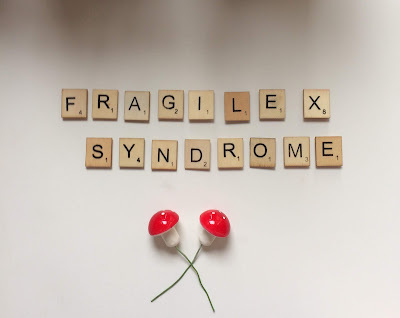 Fragile x syndrome is a genetic learning disability which affects boys and girls. It affects everyone differently and some have it worse then others. I was diagnosed at about 8 years old and I've struggled with school, college and employment etc. It affects around 1 in 4000 boys and men, as well as 1 in 6000 girls and women. Another year has flown by and I really can't believe it's going so fast please slow down! it's actually quite scary. Anyway here is my yearly round up post some good times and some bad but still has been an okay year. January Not much happened apart from it was Brad's last day on the 27th at volunteering I still miss him :(. I was still job hunting didn't have any interviews this month though. I also saw the Greatest Showman and the Darkest Hour films which were both good. Everyone at volunteering had a last meal with Brad before he started his new job.